Posted on November 5, 2014 at 12:51 pm. Anyone else REALLY feeling the sudden cold change in the air? Perfect excuse to grab your favourite hot beverage and settle into a few of the top stories from the past week–here is your mid-week mash-up! Ever feel like you’re living a double life? This latest ad from Honda will make you wish you were! 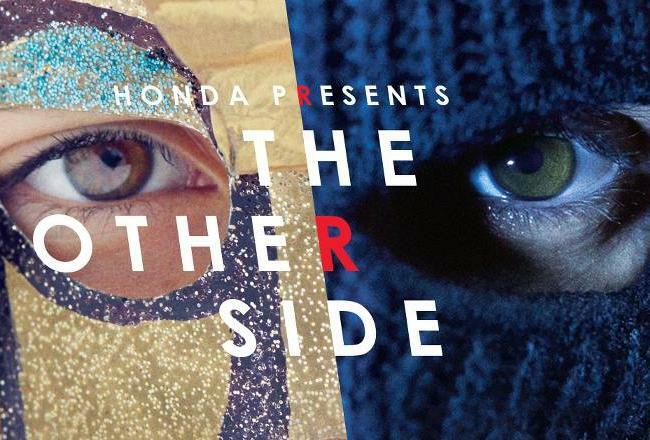 Check out the teaser ad below and visit www.hondatheotherside.com to view the specially designed YouTube page to switch back and forth between the parallel ads by pressing on the R key. Enjoy! Donating money in small doses (like, really small doses) makes it effortless to contribute to a charity of your choice by means of contactless payments. Could this be the next wave of donating to charities? Have a watch below to find out. We know Halloween has come and gone, but we just couldn’t help but throw this last Halloween prank in the mix because it is truly awesome. And it contains clowns. You’re welcome.